We set out to eat some dim sum in Chicago’s Chinatown after a warm-up at Wow Bao. Lao Sze Chuan had some good reviews on Yelp, but what does that mean? Their “dim sum” menu consisted of 8-10 items that barely passed as calling the section dim sum. We ordered only from this section, and debated on going to another dim sum place but didn’t have enough time. These were probably the best dish on the table. Chengdu dumplings with an amazing sauce, slightly spicy, not too salty. 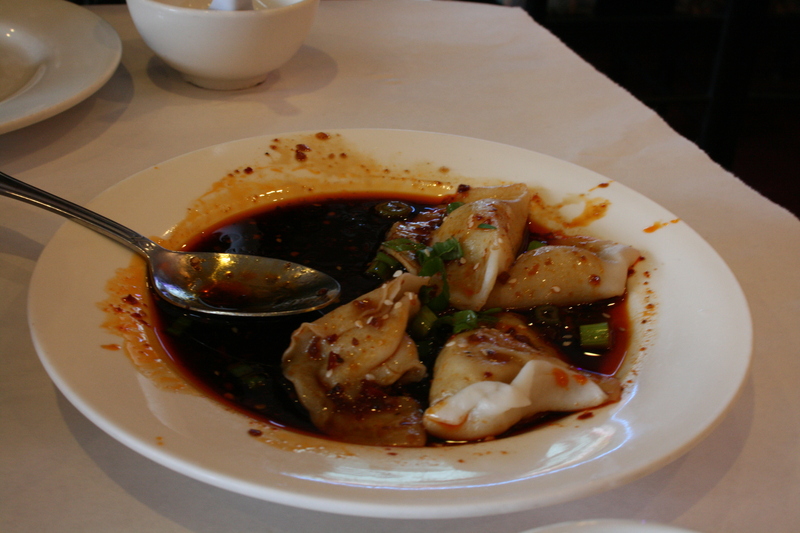 The dumplings themselves had a good texture with just enough juice inside. The filling wasn’t anything special.